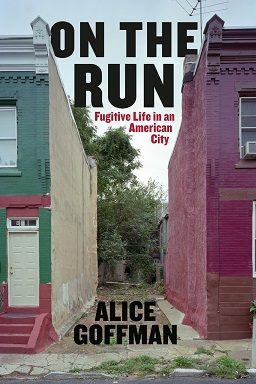 On the Run: Fugitive Life in an American City chronicles the effects the War on Drugs levied on one inner-city Philadelphia neighborhood and its largely African American population. Based on Goffman’s six-year-long ethnographic experience as a participant-observer in the community, the book considers how a cycle of presumed criminality engendered by pervasive policing obscures the friendships and associations of a group of residents, small-time drug dealers, everyday persons, and the lives they lead into nodes in a network of surveillance under operation 24 hours a day—and the very human costs involved. The book was recently named to Publishers Weekly’s list, Best Nonfiction of 2014, after garnering praise from both the New Yorker and the New York Times Book Review. You can read an excerpt from the book, “The Art of Running,” here. 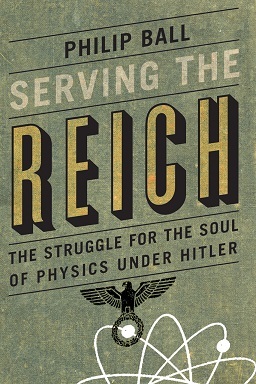 To read more, click here. . . .
“Physics Must Be Rebuilt” from Serving the Reich: The Struggle for the Soul of Physics under Hitler by Philip Ball *** Quantum theory, with its paradoxes and uncertainties, its mysteries and challenges to intuition, is something of a refuge for scoundrels and charlatans, as well as a fount of more serious but nonetheless fantastic speculation. Could it explain Consciousness? Does it undermine causality? Everything from homeopathy to mind control and manifestations of the paranormal has been laid at its seemingly tolerant door. Mostly that represents a blend of wishful thinking, misconception and pseudoscience. Because quantum theory defies common sense and ‘rational’ expectation, it can easily be hijacked to justify almost any wild idea. The extracurricular uses to which quantum theory has been put tend inevitably to reflect the preoccupations of the times: in the 1970s parallels were drawn with Zen Buddhism, today alternative medicine and theories of mind are in vogue. Nevertheless, the fact remains that fundamental aspects of quantum physics are still not fully understood, and it has genuinely profound philosophical implications. Many of these aspects were evident to the early pioneers of the field – indeed, in the transformation of scientific thought that quantum theory compelled, they were impossible to . 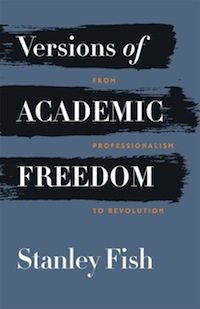 . .
An Excerpt from Versions of Academic Freedom: From Professionalism to Revolution by Stanley Fish *** “Academic Freedom Studies: The Five Schools” In 2009 Terrence Karran published an essay with the title “Academic Freedom: In Justification of a Universal Ideal.” Although it may not seem so at first glance, the title is tendentious, for it answers in advance the question most often posed in the literature: How does one justify academic freedom? One justifies academic freedom, we are told before Karran’s analysis even begins, by claiming for it the status of a universal ideal. The advantage of this claim is that it disposes of one of the most frequently voiced objections to academic freedom: Why should members of a particular profession be granted latitudes and exemptions not enjoyed by other citizens? Why, for example, should college and university professors be free to criticize their superiors when employees in other workplaces might face discipline or dismissal? Why should college and university professors be free to determine and design the condition of their workplace (the classroom) while others must adhere to a blueprint laid down by a supervisor? Why should college and university professors be free to choose the direction of their research while researchers . 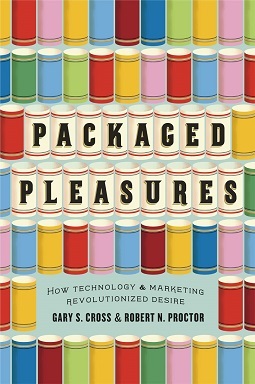 . .
An Excerpt from Packaged Pleasures: How Technology and Marketing Revolutionized Desire by Gary S. Cross and Robert N. Proctor *** “The Carrot and the Candy Bar” Our topic is a revolution—as significant as anything that has tossed the world over the past two hundred years. Toward the end of the nineteenth century, a host of often ignored technologies transformed human sensual experience, changing how we eat, drink, see, hear, and feel in ways we still benefit (and suffer) from today. Modern people learned how to capture and intensify sensuality, to preserve it, and to make it portable, durable, and accessible across great reaches of social class and physical space. Our vulnerability to such a transformation traces back hundreds of thousands of years, but the revolution itself did not take place until the end of the nineteenth century, following a series of technological changes altering our ability to compress, distribute, and commercialize a vast range of pleasures. Strangely, historians have neglected this transformation. Indeed, behind this astonishing lapse lies a common myth—that there was an age of production that somehow gave rise to an age of consumption, with historians of the former exploring industrial technology, while historians of the latter stress . 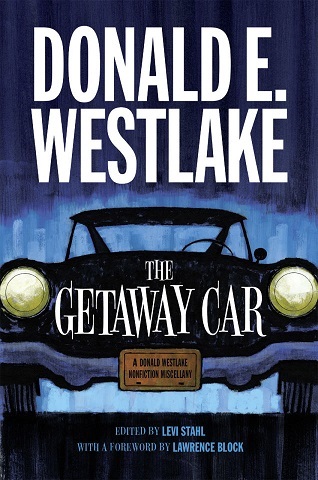 . .
Deadspin columnist/Yankees fan/out-of-print litterateur Alex Belth recently sat down over email with Levi Stahl, University of Chicago Press promotions director and editor of The Getaway Car: A Donald Westlake Nonfiction Miscellany. Their resulting conversation, published today at Deadspin, al0ng with an excerpt from the book, includes the history of their engagement with the Parker novels, Jimmy the Kid‘s amazing cover design, culling through Westlake’s archive, an obscure British comedy show, and the perils of professional envy vs. professional admiration. You can read the interview in full here, and have a look at a clip after the jump below. *** Q: In a letter, Westlake described the difference between an author and a writer. A writer was a hack, a professional. There’s something appealing and unpretentious about this but does it take on a romance of its own? I’m not saying he was being a phony but do you think that difference between a writer and an author is that great? LS: I suspect that it’s not, and that to some extent even Westlake himself would have disagreed with his younger self by the end of his life. I think the key distinction for him, before which all others pale, was what . . . 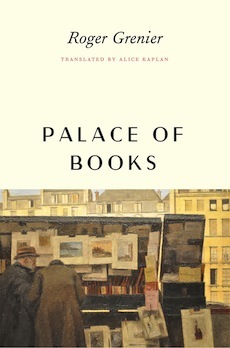 In the wake of the controversy (or welcomed interest, depending on your position) surrounding Patrick Modiano’s recent Nobel Prize in Literature, the AAUP circulated the hashtag #litintranslation, in order to promote those books published by university presses that attempt to overcome the dearth of literature in translation that has long acquiesced to a peculiar hegemony in American letters. In fact, Yale University Press already had plans to publish Modiano’s Suspended Sentences: Three Novellas this fall, as part of their Margellos World Republic of Letters series. 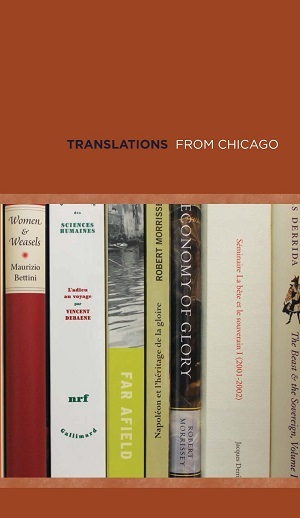 A quick review of the tweets circulating under #litintranslation reveals an equally robust list of works brought into the English language by the university press community, including several by the University of Chicago Press. With that in mind, and on the heels of the Frankfurt Book Fair, we’re debuting our sales catalog Translations from Chicago, where among hundreds of storied works spanning the disciplines, you can find: The Selected Letters of Charles Baudelaire: The Conquest of Solitude, ed. and trans. by Rosemary Lloyd Vegetables: A Biography by Evelyn Bloch-Dano, trans. by Teresa Lavender Fagan One Must Also Be Hungarian by Adam Biro, trans. by Catherine Tehanyi Sketch for a Self-Analysis by Pierre Bourdieu, trans. by Richard Nice The Beast and . 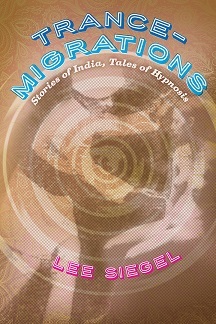 . .
From Trance Migrations: Stories of India, Tales of Hypnosis by Lee Siegel The Child’s Story And now, if you dare, LOOK into the hypnotic eye! You cannot look away! You cannot look away! You cannot look away! —THE GREAT DESMOND IN THE HYPNOTIC EYE (1960) I was eight years old when my mother was hypnotized by a sinister Hindu yogi. Yes, she was entranced by him, entirely under his control, and made do things she would never have done in her normal waking state. My father wasn’t there to protect her and there was nothing I, a mere child, could do about it. I vividly remember his turban and flowing robes, his strange voice, gliding gait, and those eerie eyes that widened to capture her mind. I heard his suggestive whispers—“Sleep Memsaab, sleep”—and saw his hand moving over her face in circular hypnotic passes. “Sleep, Memsaab.” It’s true. I heard it with my own ears and saw it with my own eyes as I watched “The Unknown Terror,” an episode of the series Ramar of the Jungle, on television one evening in 1953. Playing the part of a teak plantation owner in India, my mother, the actress Noreen Nash, was . . .
“Private Life” The expansion of the media has put the writer in the spotlight, even if, nowadays, people who write have lost much of their prestige and their importance in society. Some of them find themselves afflicted with a lack of privacy once reserved for movie stars. Sometimes they ask for it. Michel Contat writes about “this form of media totalitarianism that gives the right to know everything about someone based on the simple fact that he or she has created a public image.” This phenomenon is not so new, if you think about Sartre and Beauvoir, not to mention Musset and George Sand, Dante and Beatrice, Petrarch and Laura, or even the self-dramatizing Byron or Chateaubriand. Nowadays we have scribblers who manage to pass themselves off as writers because they’ve already made a name for themselves as celebrities. Gérard de Nerval was a victim of the public’s need to know, due to conditions that would be unimaginable today. Jules Janin, in the Journal des débats of March 1, 1841; Alexandre Dumas, in Le Mousquetaire of December 10, 1853; Eugène de Mirecourt in a little monograph in his series Les Contemporains in 1854, wrote openly about their friend’s mental . . .
Americans tend to see negative campaign ads as just that: negative. Pundits, journalists, voters, and scholars frequently complain that such ads undermine elections and even democratic government itself. But John G. Geer here takes the opposite stance, arguing that when political candidates attack each other, raising doubts about each other’s views and qualifications, voters—and the democratic process—benefit. 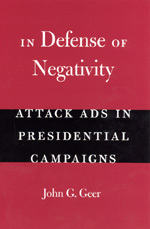 In Defense of Negativity, Geer’s study of negative advertising in presidential campaigns from 1960 to 2004, asserts that the proliferating attack ads are far more likely than positive ads to focus on salient political issues, rather than politicians’ personal characteristics. Accordingly, the ads enrich the democratic process, providing voters with relevant and substantial information before they head to the polls. An important and timely contribution to American political discourse, In Defense of Negativity concludes that if we want campaigns to grapple with relevant issues and address real problems, negative ads just might be the solution. “Geer has set out to challenge the widely held belief that attack ads and negative campaigns are destroying democracy. Quite the opposite, he argues in his provocative new book: Negativity is good for you and for the political system. . . . In Defense of Negativity adds a . . .